Choose a local area code (if you want) and get a 2nd number on your smartphone. Texting is free and unlimited. Sideline’s inbox puts all your communication in one place. 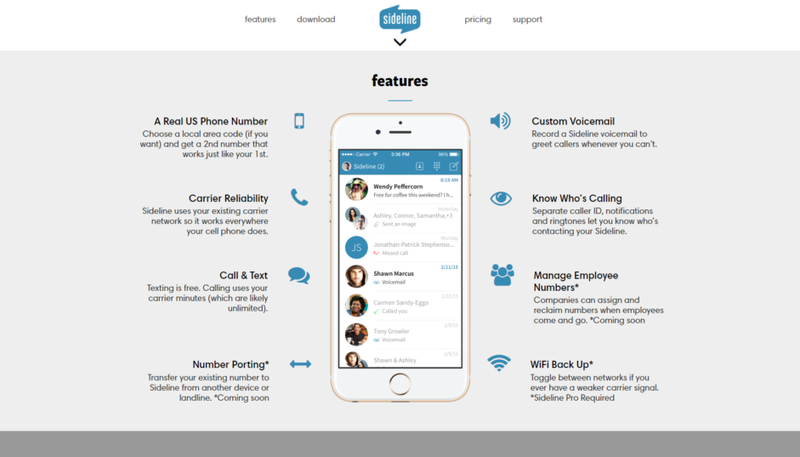 Record and manage multiple voicemail greetings for your Sideline number. Separate caller ID, notifications and ringtones let you know who’s contacting you.